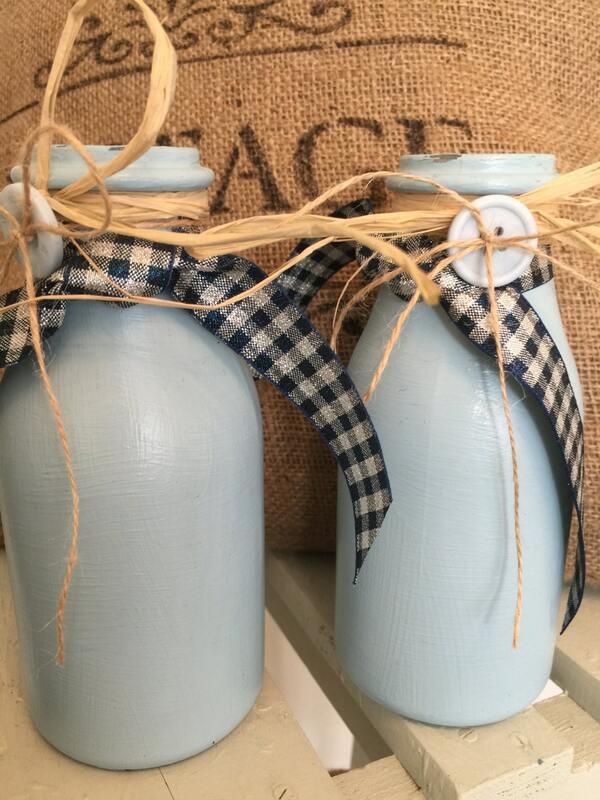 This is a lovely matching pair of decorated glass milk bottles, painted in Snow Cap Blue and varnished for a smooth satin finish and durability. Use as a flower vessel, vase or beautiful on their own to decorate table settings, a hall table, mantle piece or shelf. 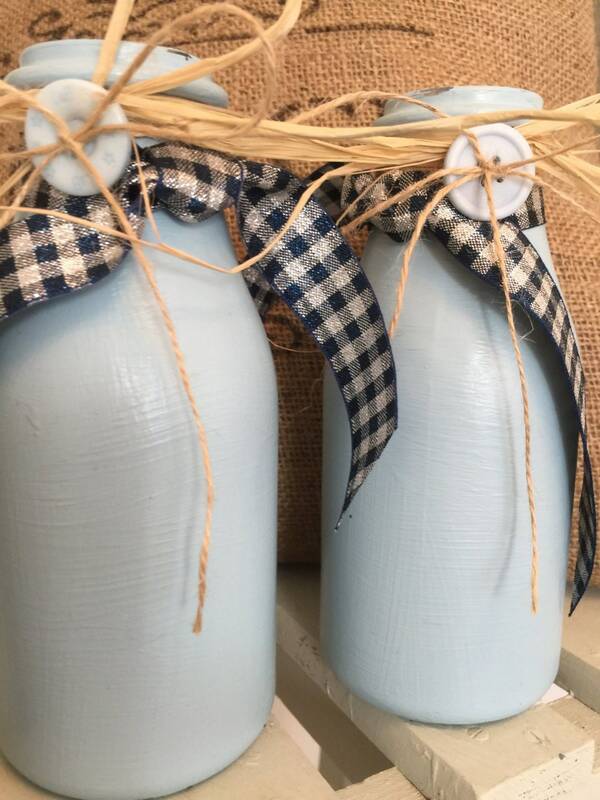 This pair of bottles would make a lovely gift for any occasion. 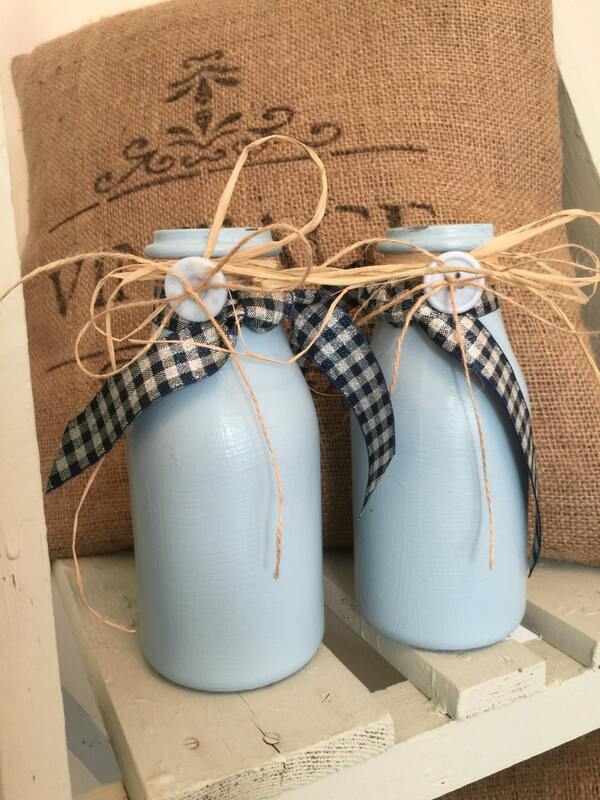 I can also take custom order for weddings, and large event that need table decorations.